We are back this week with another Ask the Expert Blog, where Smalley experts answer difficult questions about retaining ring and wave spring design. This week, our engineering experts answer some questions about snap ring and coil spring replacement with Smalley products. Welcome back to the Ask the Expert Blog, where our engineers answer commonly asked reataining ring and wave spring design questions. This week, our experts take some questions about retaining ring design and wave spring performance in extreme temperatures. Welcome back to the Ask the Expert Blog, where our engineers answer commonly asked retaining ring and wave spring design questions. 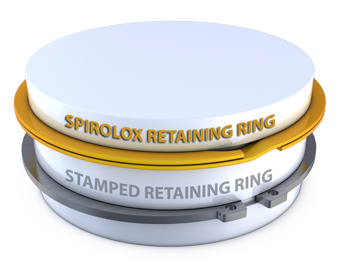 This week, our experts field some questions about Spirolox retaining rings and nested wave springs.